The Chillingham Wild Cattle Association (CWCA) are proud to announce their 2018 Wild Cattle Open Day, a special opportunity for visitors to see parts of the Cattle Park not normally opened to the public. 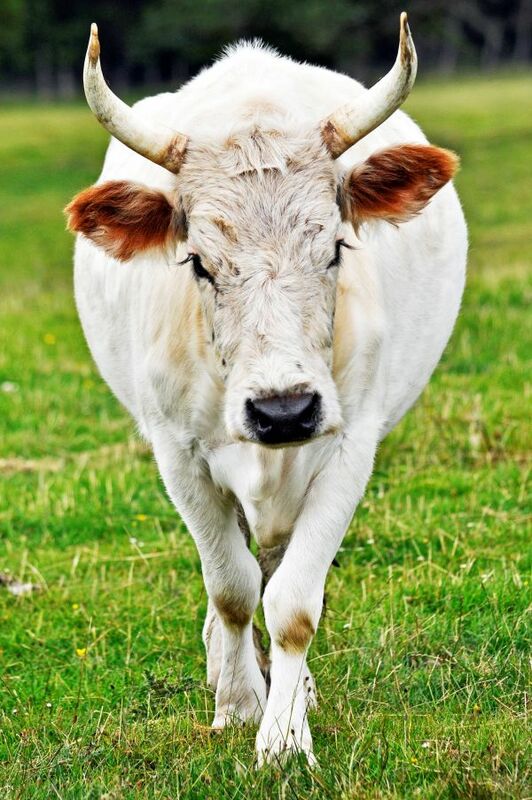 Taking place on SATURDAY 28TH JULY, The Chillingham Wild Cattle Open Day offers a chance for people to get up close and personal with the Chillingham Wild White Cattle. Through tours and talks, you can learn first-hand about their natural habitat, the history of the cattle park and the family who nurtured them and the continuing contributions the Wild Cattle are making to scientific and environmental studies. The trailer rides will also take you to hidden corners, getting you closer to a variety of flora and fauna in the park. The Chillingham Wild Cattle are a totally unique herd in that each beast is a clone of the next. With a herd of around 100 cows and bulls, the Chillingham herd are completely wild, with no human intervention other than, very occasionally, humane reasons. Dr John Fletcher, an expert on medieval deer parks, will give a talk on the history of the cattle park and its deer hemmel. Charles Bain Smith, will explain his family connections to Chillingham and his fond memories of Chillingham Castle in the company of his grandmother, Violet, Dowager Countess of Tankerville, and of course, hear the importance of its Wild White Cattle to his family. Based on her own study, researcher in paleoecology, Dr Eline van Asperen, will talk about the impact of the Wild Cattle on vegetation. Her research includes studying the fungi that grows on their dung, the current forefront of many environmental projects, in order to understand and improve successful management of the forests. As well as the talks on the day, there will also be demonstrations from traditional country craftsmen, including stone masons, stick masons and wood turners. The wood turners will be using traditional skills, used before electric motors, to turn the wood in the lath. The dry stone wallers will use the skills used to build the Chillingham Wall two hundred years ago, and the stick dresser, will be on hand to talk about the Chillingham horn stick he has made and showcase other stick designs. During the trailer rides, through the park, visitors will have the rare opportunity to get close to the herd accompanied by Dr. Stephen Hall, Professor of Animal Science at the University of Lincoln and a trustee of the CWCA, who will give a talk on the history of the iconic Wild Cattle. Due to limited space on the trailer, seats must be booked in advance. Walking tours do not need to be booked and will be as scheduled. Please note that there are no toilet facilities at the cattle park. The nearest toilets and café are in Chillingham Castle. If you wish to join the trailer rides and attend the talks but have mobility issues, please telephone us at 01668 215250. We will try our best to accommodate you.